Our team has over 35 years of collective experience in delivering high quality work in all matters relating to Residential Conveyancing. Our Mr Anthony Foley, the principal of the firm and Solicitor, and Mrs Catriona Hope, our Licensed Conveyancer, will be able to act for you and all matters will be supervised by our Mr Foley who is in charge of residential conveyancing. Please note, preferential rates may be available upon request, for example, to returning clients and first time buyers. Forwarding our terms of business together with appropriate Property Information Forms to the Sellers for completion and return. Contacting the Buyer’s Solicitors requesting confirmation of instructions. If the sale is of a leasehold property, where appropriate, obtaining information from the Freeholders or Management Company. Obtaining official copy entries from the Land Registry or obtaining the Title Deeds in order to establish and confirm ownership of the Property. Forwarding the draft Contract Documents to the Buyer’s Solicitors. Dealing with any enquiries before Contract raised by the Buyer’s Solicitors. Obtaining any redemption statement to redeem any mortgages secured against the property. Discharging any mortgages secured against the property. Forwarding completion Deeds/documents to the Buyer’s Solicitors. Accounting to the sellers for the net proceeds of sale. Taking instructions from the Buyers and giving initial advice. Forwarding our terms of business to the Buyers. Checking that finances are in place to fund the purchase. Contacting the Seller’s Solicitors to request draft Contract documents. Receiving and advising on the Contract documents and investigating title. Raising any relevant and appropriate enquiries arising from the draft Contract, investigation of title and results of the pre-contract searches. Going through conditions of mortgage offer with the Buyer. Advising as to joint ownership (if required). Reporting to the Buyer and arranging for them to sign Contract. Arranging for the balance of the money from the Buyer and the Lender as appropriate. Obtaining the completion documents from the Seller’s Solicitors. On completion, submitting a stamp duty return and paying any Stamp Duty Land Tax due to H M Revenue & Customs. Serving necessary notices on the Freeholder and Management Company if the property is leasehold. Following completion of registration, notifying the Buyers and any Lender. The figures shown on the tables are representative of a standard transaction without complications. The purchase of flats and apartments, newly built properties, shared ownership purchases, Help to Buy matters and Islamic mortgages are more complex and additional fees may be payable. It is also assumed that the transaction does not involve a new lease, that there is no material delay from third parties and no indemnity policies are required otherwise extra charges could apply. Re-mortgages – our charges are £250 plus VAT. Transfer by Gift – our charges are £200 plus VAT. In addition to the above charges there may also be a number of expenses. Sale – On the sale of a residential property, provided ownership of the property is registered at HM Land Registry, there will also be the cost of downloading Official Copy Entries and possibly other Land Registry documents, depending on whether the property is subject to covenants or a lease (if the Seller does not have these available). As a minimum, we would expect to have to obtain Official Copy Entries and Title Plan at a cost of £6 per title. Where it is necessary to discharge a mortgage or the Seller requires the proceeds of sale to be paid by way of a Bank Transfer to them, there will be a Bank Transfer fee to pay totalling £35 inclusive of VAT for each transfer. There will also be a case management fee of £24 and an Identity Check of £2 per person, which is carried out under the Money Laundering Regulations. In addition, if the property is leasehold, a management pack may be required from the freeholder or the management company. Their fees can range between £200 - £500. Purchase – On the purchase of a residential property, the expenses will depend to an extent on where the property is located and whether the Buyer receives a mortgage. If mortgage finance is required, a Buyer will be expected to carry out a full range of standard pre-contract searches, the cost of which will depend on the location of the property. As a guide, the cost of pre-contract searches at the present time may total approximately £250. As regards a purchase transaction, there will be a Bank Transfer fee for transferring funds to the Seller’s Solicitors on completion totalling £35 inclusive of VAT. There will also be a Land Registry fee. The following is a link to the Land Registry’s website and in particular, onto the calculator which gives details of their fee. • Notice of transfer fee to the Freeholder/Management Company. Often the fee is between £3 - £125. • Notice of charge fee to the Freeholder/Management Company (if the property is to be mortgaged). Often it is between £3 - £125. • Deed of Covenant fee payable to a Freeholder/Management Company. It can be between £150 – £500. • Certificate of Compliance fee payable to the Freeholder/Management Company. It can range between £100 – £300. On a leasehold property, you should also be aware that ground rent and service charges are likely to apply throughout your ownership of the property. We will confirm the ground rent and the anticipated service charge as soon as this we receive this information. An apportionment of the ground rent and/or service charge may be expected to be paid on completion by the Buyer for any ground rent and/or service charge which has been paid by the Seller in advance. Stamp Duty Land Tax may also be payable. 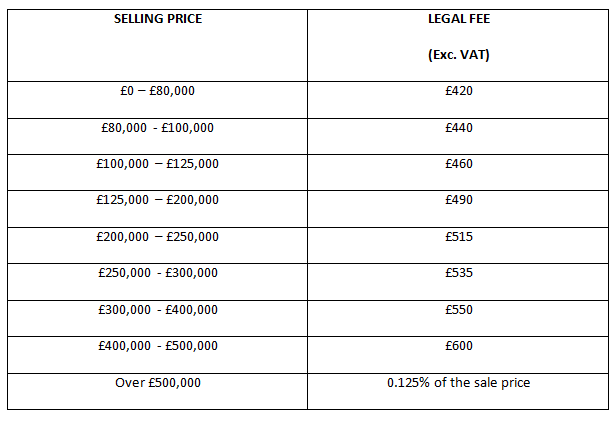 The following is a link to the Government online calculator so that potential buyers can work out how much stamp duty they will be liable to pay. As regards re-mortgages and transfers of property by gift, there will also be fees for the cost of Official Copy Entries from the Land Registry and other applicable Land Registry documents such as copy Leases/Deeds (if these any not available), and also Land Registry Registration fees, the amount of which will depend on the value of the property being transferred. Finally, on all transactions it will be necessary to obtain identification evidence for anyone on whose behalf we act and in respect of any persons contributing towards the purchase of any property and it will also be necessary to carry out online identification checks. The cost of each ID check is £2. As to how long your house sale/purchase will take depends on a number of factors including persons in the chain and their circumstances. The average process takes between 6-12 weeks. Remortgages can be done quicker because only the Lender and Buyer are involved in the process. These can take up to 3-4 weeks to complete. We can help you through this difficult process by obtaining the Grant of Probate on your behalf. We will also undertake the collecting and distributing of assets. Our Mr Foley who is the principal and Solicitor (with over 35 years experience) will act for you. Our firm does not charge for initial interviews should you wish to discuss the estate of a deceased. For estates which do not involve the payout of inheritance tax and do not require the submission of an inheritance tax account and providing the value does not exceed £300,000, we can provide a fixed fee as below. 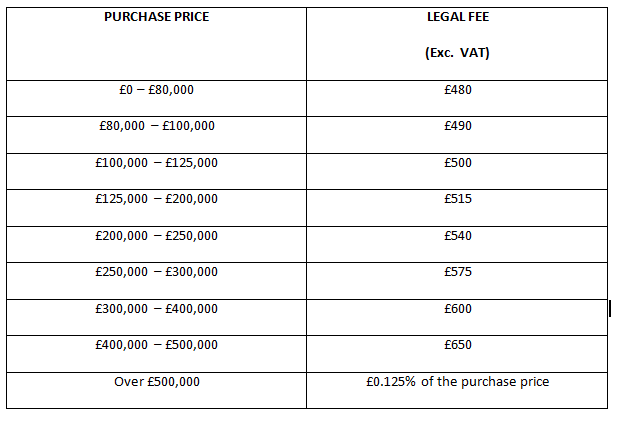 However please also see the exceptions below where a fixed fee may not be applicable. We would in such circumstances provide a bespoke estimate of our services. TOTAL: fixed fee of £1,800 (incl. VAT). This includes: obtaining the grant, collecting assets, distributing them and providing to you an account for approval. Bankruptcy search – Land Charges Department searches (£2 per beneficiary). Have an experienced probate Solicitor to work on your matter. Make the application to the Probate Registry. Provide you with a final Statement of Account. On average, estates that fall within this range area are dealt with within 2-6 months. Typically, obtaining the Grant of Probate takes 2-3 weeks. Collecting assets then follows, which can take between 2-4 weeks. Once this has been done, we can distribute the assets, which normally takes 2-3 weeks. If Inheritance Tax is payable. The preparation of a full HMRC account in respect of the estate. If it considered that significant time will be needed to be spent on the collection and sale of specific assets, including a property. The complexity of the assets held in the estate, for example if the deceased owned a business. If there are problems about the validity of any Will. If there are disputes between Beneficiaries. If potential claims have been made or are pending against the estate. If there are problems identifying and locating Beneficiaries. If the Will being administered has a greater degree of complexity.